E-mail is a tool intended to facilitate communication and help you get your work done. If well managed, the inbox can become the central hub of your workflow through which you coordinate your work and conveniently exchange information that is essential to your business goals. Here are some practical and effective strategies for taming your e-mail inbox. Everyone gets way too many e-mails and the constant flow of incoming messages can easily get out of control. We all have our own Sisyphean experiences sorting through past e-mails, organizing and deleting old mail. 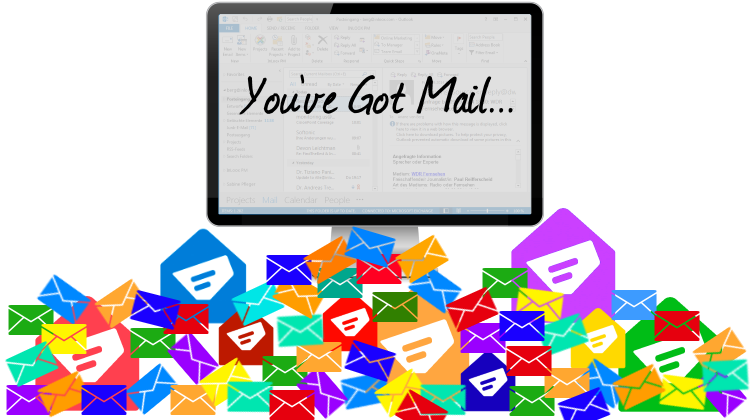 In part one of our series on how to manage e-mails more effectively I spoke about customization and organization options for Microsoft Outlook that help you stay afloat. Here are simple and practical guidelines that help you manage your e-mails effectively, ensuring it doesn’t manage you. Not all e-mails are the same. Applying the 80/20 principle (Yes, it also works for e-mails! ), only 20% of all the all the messages you receive are high value e-mails. Meaning: In order to increase efficiency, focus on the 20% e-mails because the time invested in them brings maximum output. It very much depends on the nature of your work, what the 20% e-mails are to you. If you work in sales, for example, the 20% e-mails can be new business leads, customer requests, networking opportunities, and other things that directly impact your business goals. You should give the 20% e-mails significant priority and reply to them within a day during the dedicated e-mailing time (To read more about the Dedicated E-Mail Time, read How to Manage Your E-Mails More Effectively – Part 1). For the 80% e-mails, you can reply to them later as they don’t cover urgent matters. If you don’t respond to e-mails right away, it is helpful to organize them in different categories according to their priority level. Let me give you an example. You are working in the HR department and want to review the applications for the latest job opening only after the application deadline. You can either go back to your inbox later and search through the past message to find the applications. 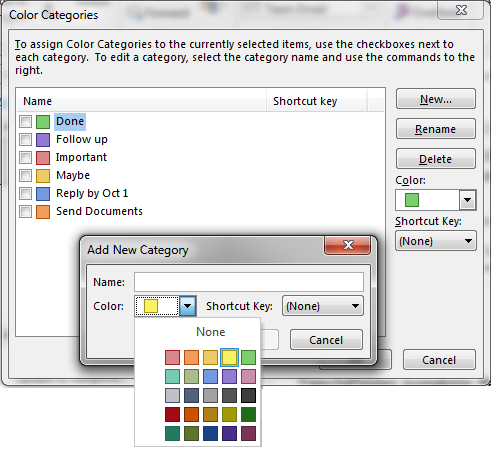 OR: You highlight the applications all in one color, helping you to respond to them in a more efficient way later on. Microsoft Outlook makes it very easy to assign categories to individual e-mails. Simply right click on the e-mail you want to assign a category and select one from the context menu that appears. To edit existing categories or create new ones, click on All Categories in the drop down menu and make the changes you need. Instead of deleting e-mails you have already reviewed and responded to, it is better to move them to your custom archive. This way you can find past messages on a particular topic much easier and you can easily track the workflow and communication development. To establish your own e-mail archive, create new folders in you inbox by right clicking on Inbox and select New Folder from the context menu. Make sure to use a relevant naming system that adds clarity. Let’s say you prepare a trade show, name the sub-folder like the trade show you are currently preparing, for example: Photonics West SF 2015. Microsoft Outlook will organize the inbox sub-folders in alphabetical order. If you prefer arranging the archive in a hierarchical structure, you can add running numbers to custom sort the folders. Once you created the archive, you can simply move the e-mail messages via drag and drop. You receive messages on a daily basis that hold valuable information that is just not top priority at the moment. Set your e-mail account to automatically archive those messages to a dedicated folder. This way, all blog mail on the latest technology news go to the technology folder, social media and networking updates go to the social media folder, and so on. 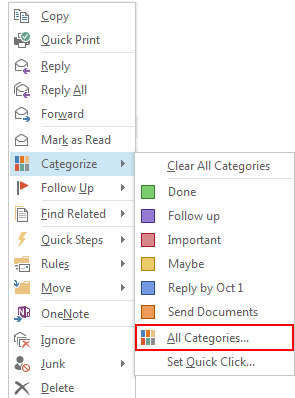 To create an inbox rule, click on Rules in the Move Section on the Outlook Ribbon and select Create Rule from the dropdown menu. Stop receiving e-mails that you don’t read. You probably sign up for newsletters that provide helpful information on one of the topics you currently work on. If you find yourself repeatedly deleting newsletters that you subscribed to at an earlier point, it is time to unsubscribe. This immediately cleans up you inbox and rids it of many of the above mentioned 80% e-mails. Tips for Effective E-Mail Management - Part 2 - InLoox • Copyright 1999-2019 © InLoox, Inc. All rights reserved.